With the shift from paper to digital media, our desks don’t need as much light as they did once before. With this in mind, Belgian designer Tim Baute, from Interror.be, created a flatpack lamp with a row of LED lights that gently illuminate your keyboard and the surrounding space. Energy-efficient, compact, easy to transport, and elegant, the Stealth Desklamp was carefully designed to respect resources and materials. 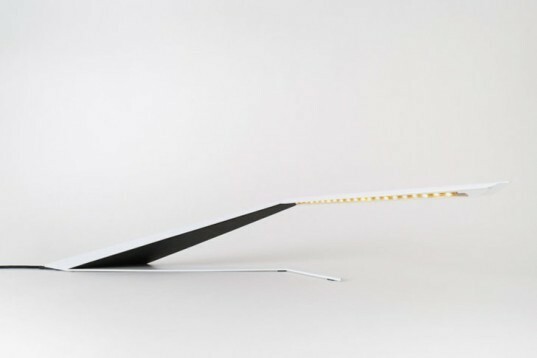 Unveiled at this years’ DMY Berlin, the Stealth Desklamp is a streamlined design made from powder-coated steel for a long life that will last decades. 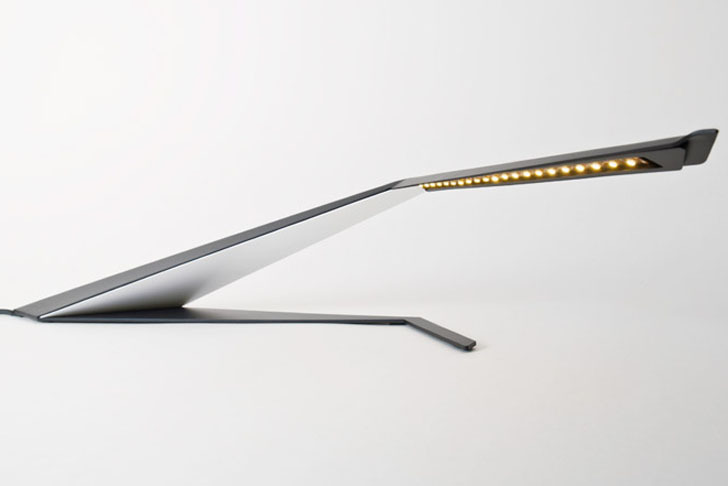 The lamp measures just 16 x 33 x 4 inches, and only weights 2.6 pounds. Focused on providing a simple yet clear function, this great luminaire optimizes materials and energy all-in-one. With the shift from paper to digital media, our desks don't need as much light as they did once before. With this in mind, Belgian designer Tim Baute, from Interror.be, created a flatpack lamp with a row of LED lights that gently illuminate your keyboard and the surrounding space. Energy-efficient, compact, easy to transport, and elegant, the Stealth Desklamp was carefully designed to respect resources and materials.